(by Rory Mulholland, Jan. 14, 2017, UK Daily Telegraph) – An extremely rare job opportunity has opened for a hermit in a stunningly beautiful cloister perched on a cliff in Austria. But the successful applicant for the unpaid position must be prepared to live without electricity, running water, or the internet, and must be able to cope with the possibility of being shot by a jealous local. 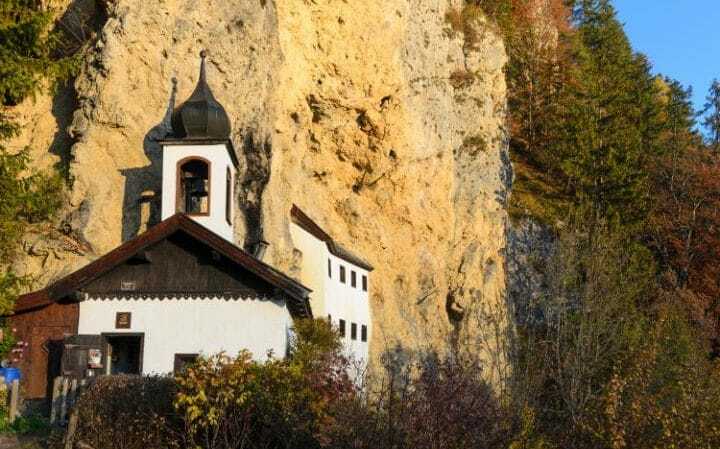 Municipal and Catholic officials in the Austrian town of Saalfelden are looking for someone to live in a nearby hermitage built into steep cliffs characteristic of the Salzburg region that borders on Germany. Applicants should be independently wealthy or have another job as the parish website says the position does not come with a salary. And because the 350-year-old hermitage – one of the few such places in Europe that is still in use – is unheated and sits at an altitude of 4,600 feet, it is only inhabitable between April and November. Father Moser and Saalfelden mayor Erich Rohrmoser will pick the new hermit, who will be chosen more on the basis of personality than on career background. The job ad did not specify that the future hermit had to be a Roman Catholic, just that he should have a Christian outlook and be ready to greet visiting pilgrims and locals. A hermit is defined as someone living in solitude as a religious discipline. But that will not be case in Saalfelden, where the successful candidate will have to greet and listen to the many locals and outsiders who come to appreciate the view from the hermitage and unburden themselves to the resident hermit, the ad explained. The hermitage has been uninhabited since a Viennese pastor and psychotherapist left last autumn to return to his normal life after just one stint in the job. Before him, a Benedictine monk lived there for more than a decade. In 1970 a man fired a shotgun at the hermitage doors, according to The Local Austria news site. 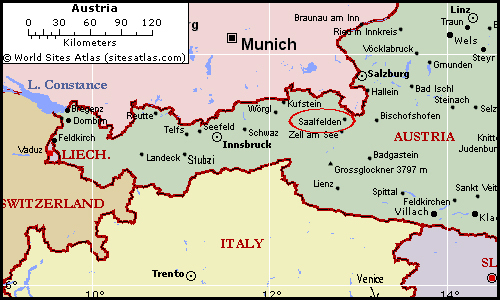 The resident hermit was uninjured but was so frightened that he went back to his home in another region of Austria. The motive for the attack turned out to be jealously – the gunman was a local who had unsuccessfully applied for the job himself. (BBC, April 18, 2017) – Canada’s CBC News said that over the Easter weekend, the Southern Shore highway near the town of Ferryland was blocked with traffic as photographers – professional or amateur – pulled up to snap the hulking ice mountain. 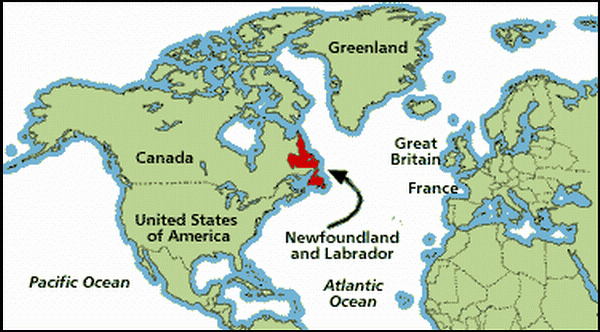 The area off the coast of Newfoundland and Labrador is colloquially known as “iceberg alley” thanks to the large number of ice blocks that drift down from the arctic each spring. 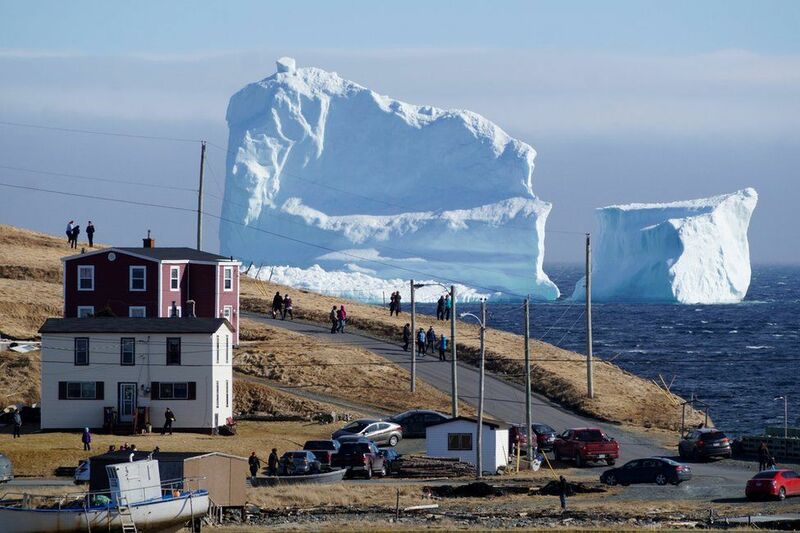 This particular iceberg is quite large, and has taken up residence near the coastline – offering a good opportunity for photos, he said. Icebergs famously hold most of their mass underwater, with just the tip of the iceberg protruding – meaning that many run aground when they veer near the coast. That’s good news for tour operators, one business owner told CBC Radio – because the bergs stick around where they can be reached.